The Baahubali star Prabhas is going to marry a girl 13 year younger than him! The Baahubali star Prabhas is going to marry a girl 13 year younger than him! Home > tollywood > The Baahubali star Prabhas is going to marry a girl 13 year younger than him! The Baahubali star Prabhas is going to marry a girl 13 year younger than him! Yes! It's true, after breaking hearts of many girls Baahubali star Prabhas is getting married with a girl who is 13 year younger than him. 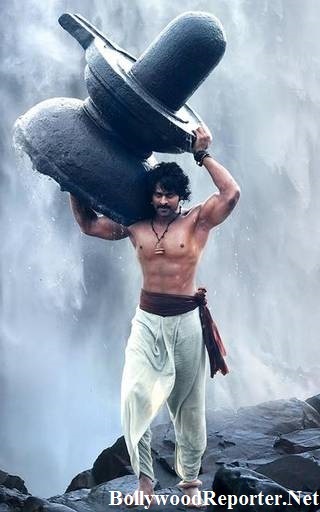 After giving a super duper hit performance in Bahubali, Prabhas is now ready to get married. As per reports Prabhas's future wife is from 'Bhimavaram' city from Aandhra Pradesh. Everyone is thinking if Prabhas's wife will be from Tollywood? But it's false! Actually Prabhas's wife is a simple girl and is selected by his parents and it's an arrange marriage. This marriage was fixed before shooting of Baahubali and Prabhas had postponed it . Prabhas’ future wife is an engineering student and is currently studying. The Baahubali actor will get hitched in a private ceremony with his close friends and family in attendance somewhere around December. For More Updates on Prabhas & Other Bollywood Stars.. Stay Tuned with Bollywood Reporter.